What is this symbol for? 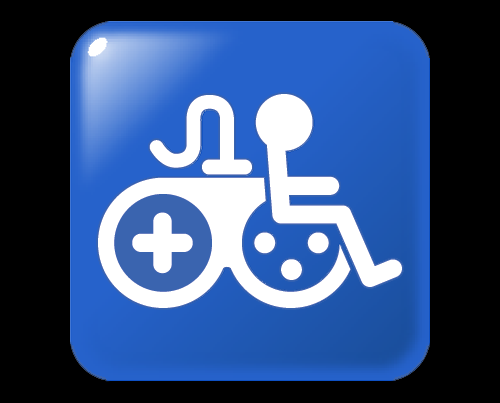 Where a gaming product is marked with this symbol it should also point people towards "Game Accessibility Information" in a convenient manner. This can be as simple as a link to a specific on-line review, a short list or as involved as a fully transcribed and subtitled video explaining the game product's accessibility. This will help end-users find out if the product will likely suit their particular abilities. It will also encourage developers to promote and further develop gaming accessibility. The symbol is used only to denote "Game Accessibility Information". 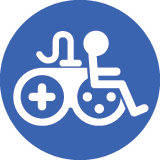 When used with a game product the symbol is positioned in a prominent, easy to find place before the point of sale and/or download, alongside useful game accessibility information. This information must be freely available and be no more than a single click away. The associated image pack zip file can be rehosted anywhere, providing that the README files are kept intact and/or the content in this web-page is clearly linked to. Slight cosmetic variations in design are permitted, providing that they remain very close to the original high-contrast design. Details of the features included which can remove cognitive, hearing, sight and input barriers. Much more supporting guidance can be found via Game Accessibility Guidelines and the OneSwitch Pinterest board. Additionally you can find many game accessibility sites at the OneSwitch.org.uk Blog. N.B. Importantly, information should be made available in an accessible format, i.e. in text that can be easily pasted into on-line text to speech and language translation utilities. Try to use easy to understand language. Ideally make additional use of symbols, icons and/or pictures for those who cannot read easily. Use alt-text when the image is displayed on-line to indicate "Game Accessibility Information" to aid people using screen-readers. Many thanks to: Chris Thornton for bringing about the initial GAinfo symbol design. Brian Brasher for turning that into a range of shapes and sizes. Thierry Danigo of Reseau Nouvelles Technologies, APF for the French README translation, and Javier Mairena for the Spanish version. Ian Hamilton for the symbol guidance image.